As large as Deschutes Brewery gets, it will always firmly be rooted and defined by the land (and landmarks) that give it its name. So of course when it does something futuristic and cool, like adding virtual reality videos to its beer labels, those videos will provide viewers with an immersive experience of Oregon landmarks: Black Butte and Mirror Pond. 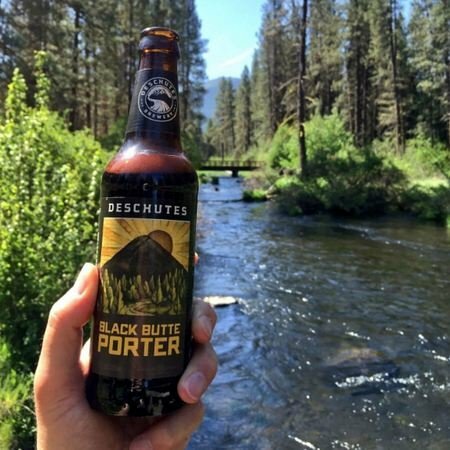 The Oregon brewery’s two flagship beers, Black Butte Porter and Mirror Pond Pale Ale, were named after these beautiful natural places. Now their fans can experience them with two stereoscopic 360-degree virtual reality experiences created by local Central Oregon creative agency, Impossible Engine. Best viewed with commercially-available, high-end VR headsets such as the Oculus Rift and HTC Vive, the latest films are available on the Deschutes Brewery’s YouTube channel. The films can be viewed on the screen using the arrows to move the perspective around, or by using a Virtual Reality viewer, such as Google Cardboard. Deschutes’ strong company culture is clearly represented as most of the people on camera and all of the narrators are actual co-owners at the employee-owned brewery. Each film is about three minutes long, and viewers can immerse themselves completely. For example, while experiencing the Black Butte Porter film viewers can have a Black Butte Porter in hand, and toast at the summit with the folks who actually make the beer. A new film featuring the hop harvest and trip to gather fresh hops for the brewery’s “Hop Trip: A Fresh Hop Pale Ale” is slated for release in mid-October to coincide with the release of the beer.